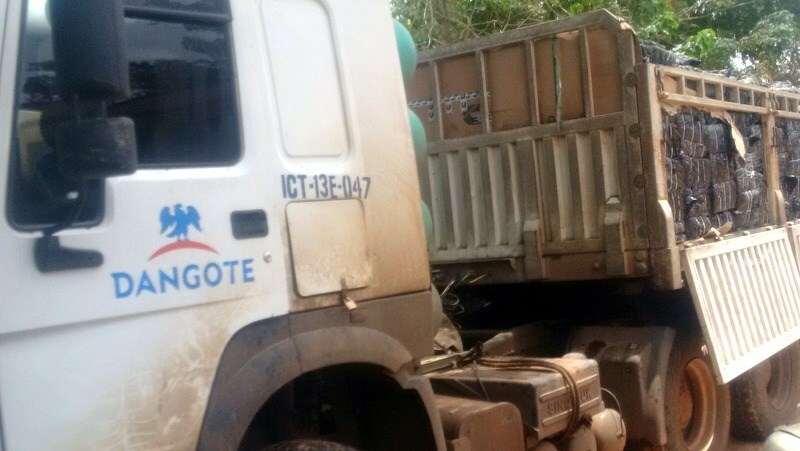 The management of Dangote Industries Limited has launched a passionate appeal to members of the public to assist in monitoring both the recklessness and the illegal haulage of contraband goods by some of his truck drivers. The company has also set up hotlines for the public to call in and report such truck drivers, with a promise to appropriately compensate calls that lead to arrest of errant drivers, noting that the trucks belonging to Dangote Cement are only allowed to carry cement, high grade gypsum and coal, those belonging to Dangote Sugar (NASCON) are authorized to carry only salt and Dan Q seasoning. The firm, in a press statement issued on Tuesday, also revealed that trucks belonging to Agro Sacks, the bags producing arm of Dangote Group, can only carry bags, belonging to Dangote flour Mills, Wheat, Flour and Danvita. “The management of Dangote Industries Limited hereby alerts the public to report any suspected Dangote truck driver involved in illegal haulage. The company also issued a stern warning to those illegally transporting unauthorized goods through its trucks. “Dangote Industries Limited also wishes to warn those that illegally transport materials on Dangote trucks that such unauthorized goods, when found, shall be confiscated and such owners prosecuted to the full extent of the law”. It would be recalled that the company recently intercepted one of the company’s truck loaded with contrabands in Ibadan, arrested the drivers and handed them over the Nigerian customs for further investigations and prosecutions. The arrest was effected by a crack team of the Company’s security personnel led by its Chief Security Officer who acted on intelligence, bordering on misconduct by some of its drivers.